Looking out over the sea and set in the city of Punat, Apartment Nina presents a self-catered accommodation with gratis wireless internet available in all areas and free car parking possible on site. The sea can be reached within 300 metres and the Punat Marine is set a 5-minute walk away. Apartment Nina is air-cooled and comes with a balcony providing views, a well-fitted kitchen with a dining area, a TV, a sofa bed, a seating area and a private toilet with a shower. Apartment Nina ~0.1 km, Punat Looking out over the sea and set in the city of Punat, Apartment Nina presents a self-catered accommodation with gratis wireless internet available in all areas and free car parking possible on site. The sea can be reached within 300 metres and the Punat Marine is set a 5-minute walk away. Apartment Nina is air-cooled and comes with a balcony providing views, a well-fitted kitchen with a dining area, a TV, a sofa bed, a seating area and a private toilet with a shower. Kornic ( ~ 3.6 km ): 47+ accommodation units. Krk ( ~ 4.5 km ): 461+ apartments. Vrbnik ( ~ 7.2 km ): 169+ accommodation units. 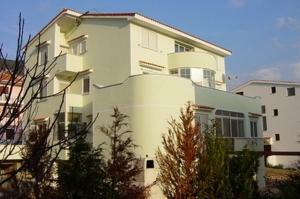 Draga Bascanska ( ~ 7.9 km ): 3+ apartments, 2+ villas. Garica ( ~ 8 km ): 1+ villas/holiday houses. 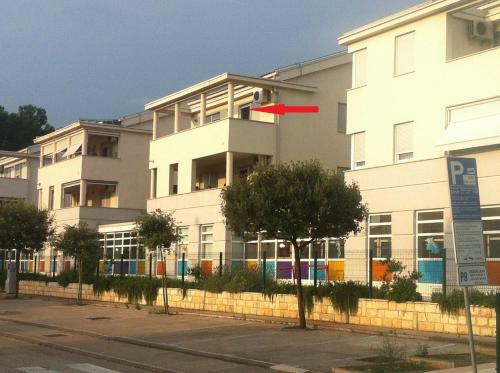 Baska Stara ( ~ 8.3 km ): 5+ apartments. Beach Punta Debij, Punat ~ 1,3 km from Apartment Nina Gravel beach: ideal for families, with caffe bar. Beach FKK Konobe Punat ~ 2,6 km from Apartment Nina Gravel beach: ideal for families, recommended for young people, with restaurant, with caffe bar, equipped with showers. Excellent choice of watersports. Nudism is allowed. Beach Politin, Krk ~ 3,1 km from Apartment Nina Gravel beach: ideal for families, recommended for young people, awarded with blue flag, with restaurant, with caffe bar, equipped with showers. Excellent choice of watersports. Beach Koralj ~ 3,5 km from Apartment Nina Gravel beach: ideal for families, awarded with blue flag, with restaurant, with caffe bar. Excellent choice of watersports. 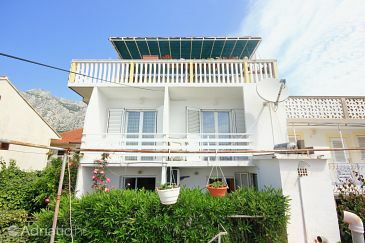 Beach Hotel Koralj, Krk ~ 3,6 km from Apartment Nina Sandy beach: ideal for families, with restaurant, with caffe bar. Excellent choice of watersports.